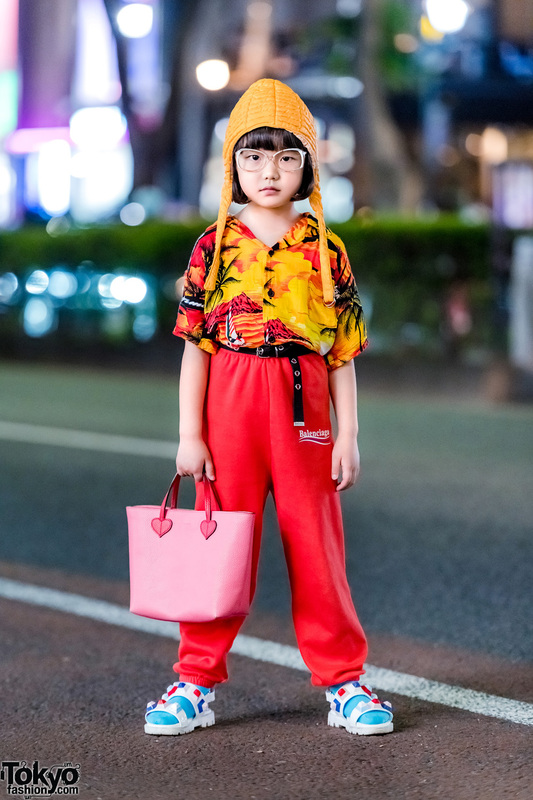 Harajuku girls sporting two-tone street styles with twin tails, waist bag, loose socks, oversized t-shirts, and boots. 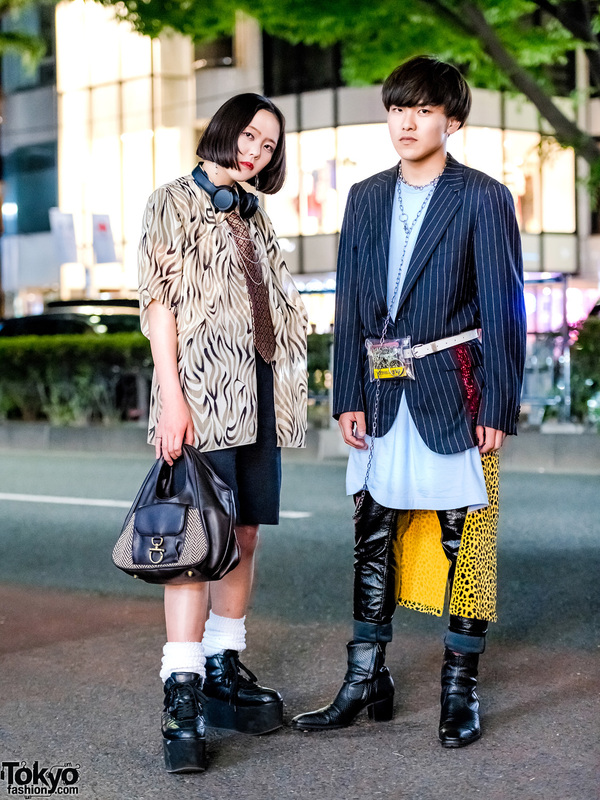 Harajuku teens sporting different street styles while out and about one fine day. 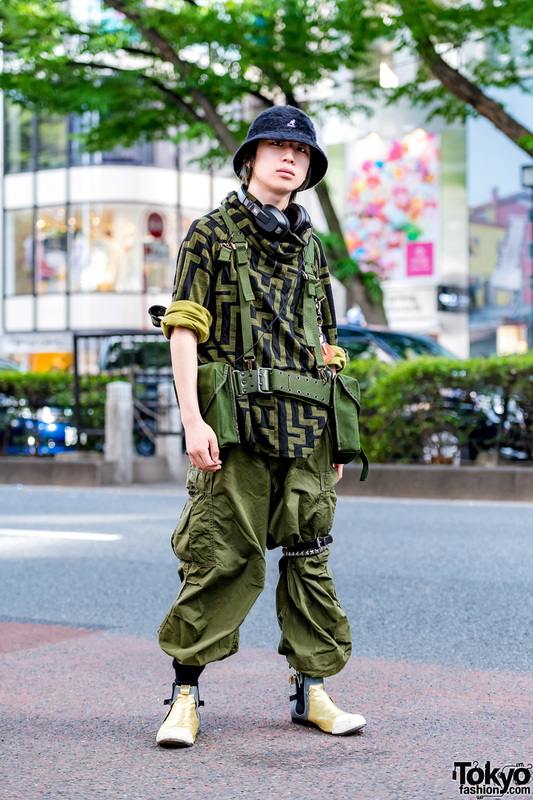 Japanese student wearing an all green tactical style with vintage items on the street in Harajuku. 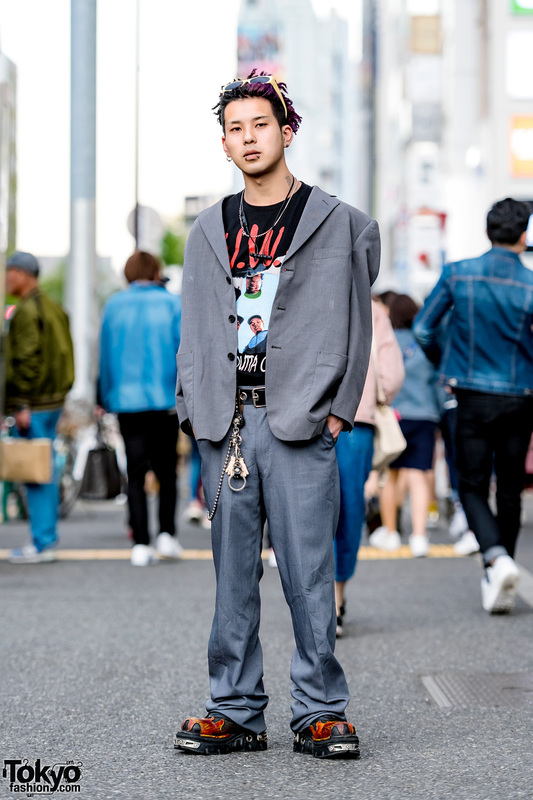 Japanese teenagers showcasing vintage and printed streetwear styles in Harajuku. Japanese student showcasing a sleek streetwear style w/ pleated top, cutout pants, platform shoes and red sling bag.